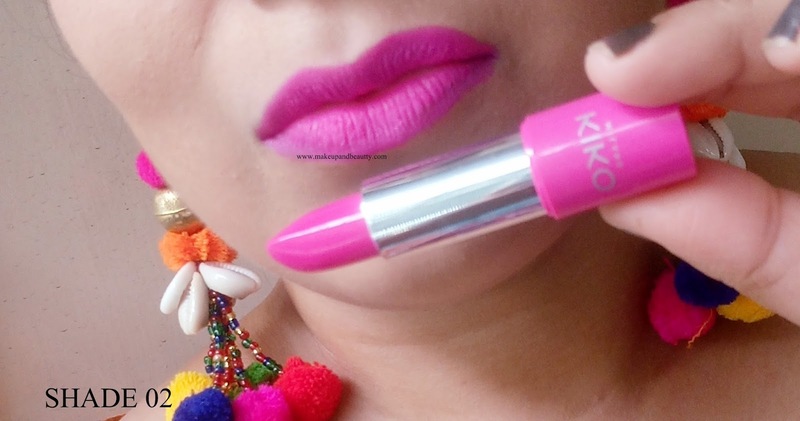 Kiko Milano is a brand that just launched its store in India a few months back. From that launching time till now I always love to check out this brand occasionally for their latest launch. 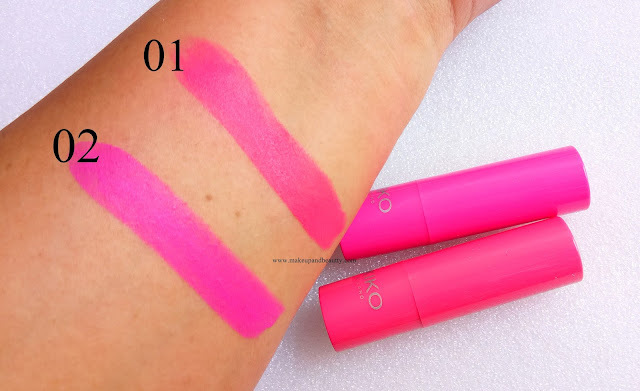 Recently Kiko Milano has launched a limited edition collection named as "ACTIVE FLUO CAPSULE COLLECTION". Active Fluo was created by fashion designer Arthur Arbesser. The collection has a variety of products among which I picked up only two lipsticks (blame my lipstick addiction). 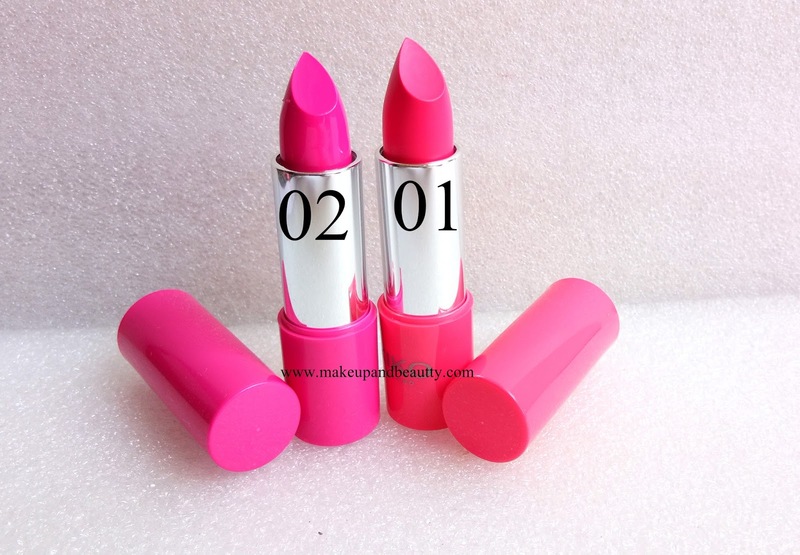 The price of lipsticks:- Rs.890/- each for 3.5g. These are right now on sale in stores. 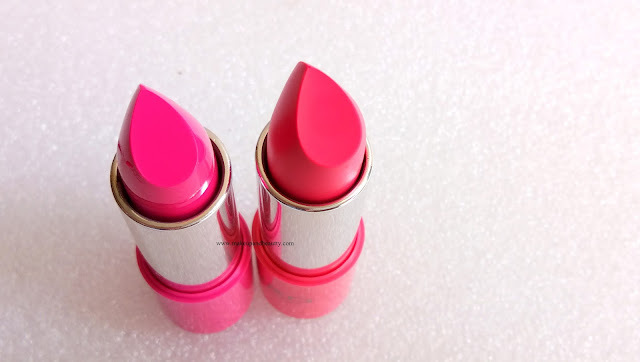 I grabbed both the lipsticks in sale in an amount of Rs.563/- approx. Neon effect make-up with pop colors. A fun, high-performance make-up. Energy, dynamism, and irony. Introducing Active Fluo, the third KIKO MILANO capsule collection, created by fashion designer Arthur Arbesser. The designer has created a unique collection that combines bold graphic motifs, patterns, and colors with clean, minimalist shapes. The make-up is vibrant and the fluo colors brimming with energy, for looks that steal the show. The passion, energy and technical performance inherent in sports are revived in specific products designed to maximize make-up hold. Comfort is at all times a must. In addition to designing the Active Fluo product packaging, Arthur Arbesser has also designed a playful, summery pochette and a handy smartphone holder to take with you while playing sports. As the collection is a neon based shades inspiration kind off, so the packaging is also very neon-ish and colorful. Both the lipstick comes in same outer carton box and lipstick case that match with the lipstick shade inside. So one can guess the shades from outside seeing the box or lipstick case. The lipstick opens up with a twist on the pattern. I picked up two shades. They are 01 and 02. 01 a beautiful reddish coral shade. 02 is a beautiful neon pink shade. 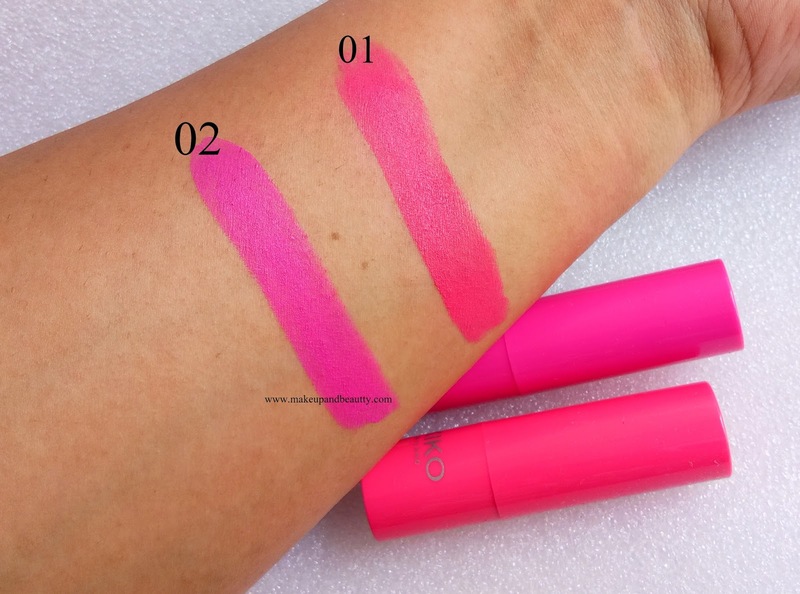 Both the shades are matte in texture, pigmented and glides super smoothly on lips. The lipstick doesn't bleed in long wearing and it stays matte for hours. 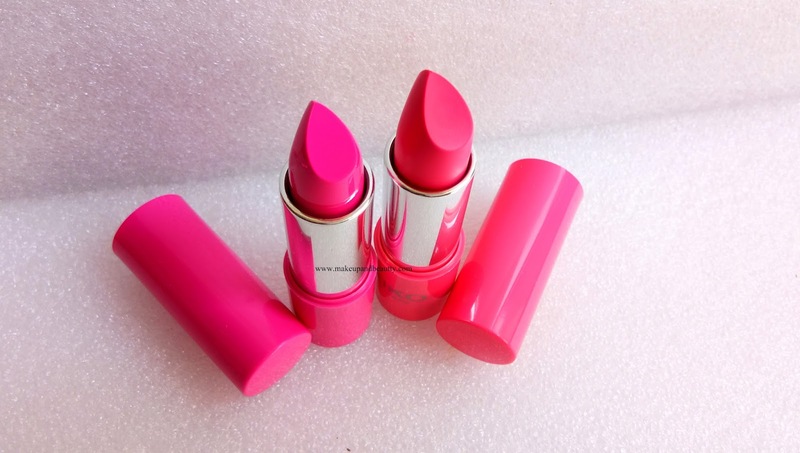 The Lipstick has a mild plastic smell which one can only smell only during applying the lipsticks. The smell vanishes immediately after application so thankfully it doesn't effect my sensitive nose. Both the shades are neon and they will go perfectly on fair skin tone beauties. The lipsticks stay pretty 5 hours on my lips. It fades a bit with time. The lipstick doesn't stain my lips and so when it fades a touch up is needed. 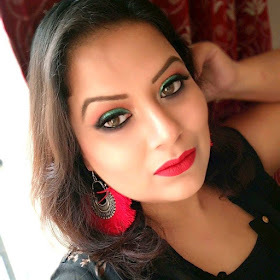 Now, this is the only down point of the collection that as it is a neon based makeup collection and it launched in India, which is a land of beautiful warm skin tone and tan beauties. And so the collection is not so hit like they usually have with other collection (say Valentine "Matte 4 you "collection). Otherwise, it is a very colorful, neon and attractive collection to grab. That's all for today. I will see you soon in some other post. I like 01 shade. Not like the packaging.